I nearly decided to skip Really Random this week but I came up with a few things. A tote bag arrived in the mail from Quiltmaker's 100 Blocks (Volume 11 recap here) and there is my little block down in the corner. Usually we receive a mug for participating but I really love having the tote bag. It's a nice size and I have already had a chance to use it. And my good friend, Vicki, has already used the block pattern and made the cutest table runner! 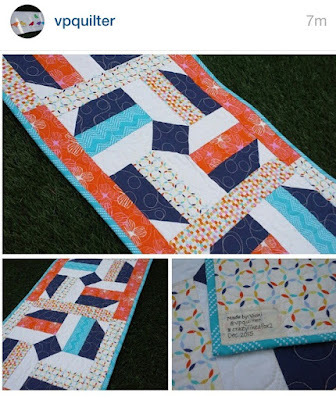 You should follow her on Instagram--she makes great things! Things I see in magazines that I want to duplicate. I have one Radio Flyer--now I'm on the lookout for two more. And I already have a closet that has a desk top. But it sure doesn't look this great! Over the Memorial holiday weekend, Mark took me to the coolest local coffee shop, Kuppa Joy. He normally doesn't even like coffee, but he treated me to this and it is fabulous! It has such a cool atmosphere--industrial, exposed brick, etc. I met a friend there this week and it was hard to find a place to sit. It is the perfect place to just hang out and do some hand sewing. We found this in a local shop--I have turned it into a sewing kit. Katy, who never fails to make me laugh, asked if it came stocked with water. Good question, in our drought-stricken state! Mark helped me recover this little footstool. I think it is probably in at least its fifth reincarnation. After asking on Instagram whether I should paint the legs, I think the resounding opinion is "yes." 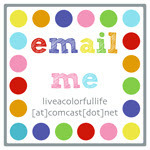 I got lots of suggestions--fuchsia, gold, glossy black, red, orange, aqua. Any other ideas? Sitting on top of Grandpa's pickup toolbox. Silly children. Love them to pieces. If you can read music, this might make you chuckle. I'm thinking of you, Kerry. I love this post. 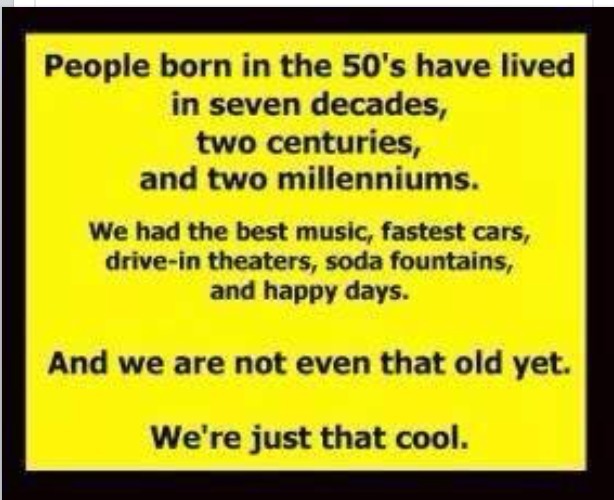 I'm one of those adults born in the late '50's. The music when I was growing up was really cool, and I got to see The Beatles in person filming "Help." An unforgettable rock n' roll moment. Love the radio flyer too. How about painting the legs of the stool in the same pattern as the seat? That would be very mod '60's.If you do it in a color, your eyes will focus on the legs of the stool first, move up to the seat, then move back to the colored legs. Maybe just keep the wood color, but give it a little love, because then the seat will be the star of the show. Love the trolley made with wagons!! Thank you for reminding me to vote for you!!! Thank you so much for the shout out!! 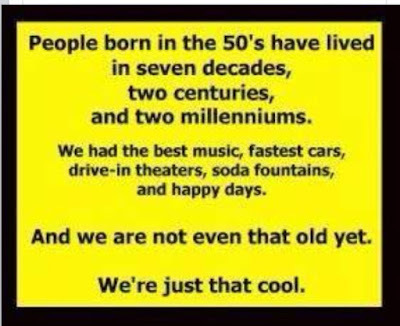 We aren't that old...love that little info. We 'mid-century' moderns certainly have a good time, don't we?! So glad you changed your mind! Your Thursday posts always make me smile, and give me a good start for the day! I love your grandkids, and you're so lucky to be near them. I'm in Imperial Beach, south of San Diego, and my closest grands (or great grands) are in Missouri, then Wisconsin and Georgia!! I have only met 2 of the 10 in person. Fun stuff as always - Random Rules! Love the quilt. Loved it last time I saw it and still love it . :) Great random stuff this week. 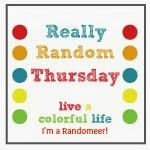 We are lucky you didn't skip Really Random Thursdays ~ its always such a treat! What a brilliant idea for old radio flyer wagons!! !